When it comes to finding a locksmith in Bishops Stortford, the entire process can seem daunting and it’s difficult to know who to pick. This is especially true if you haven’t had to use a locksmith before, which many people haven’t. In fact, you may be one of the lucky ones that hasn’t found themselves locked out or with a lost key before. Luckily, if you do ever need assistance, we’re on hand to help. The team at Access Denied are able to offer high quality and professional locksmith services throughout Bishops Stortford and the surrounding areas. We provide a range of different services for properties and vehicles, which means we’re able to cater to your every need. Whereas many of our competitors focus on one specific service, we ensure we’re able to help with anything. Whether you’re locked out of your home or car, Access Denied can solve the problem. This includes replacing lost or damaged keys, gaining entry to your vehicle, retrieving keys from inside a vehicle, fitting new locks as part of a house move and even gaining entry to a property when you’re locked out. As professional locksmiths, everyone at Access Denied works hard to provide a professional service at all times. We understand that being unable to gain access to your property or vehicle can be stressful, which is why we work efficiently and effectively. Instead of wasting time, we get to work straight away. In fact, we’re confident in our ability to offer an unmatched service in terms of speed and quality. Within moments of contacting us, a locksmith in Bishops Stortford will be on their way to you. As professional locksmiths in Bishops Stortford, we make sure we’re able to provide services throughout the entire area; this extends far and wide. It’s very difficult to know where or when a problem will occur, but we’re able to help out wherever you are. Whether you’re stuck in a supermarket car park with no way to access your vehicle or you’re unable to get into your property in the middle of nowhere, it won’t be long before we’re solving the problem. If you have ever found yourself locked out in Bishops Stortford, you’ll know how stressful the entire situation can be. Whether you were locked out of a car or a property, the chances are you felt worried and unsure of what to do. Luckily, if this ever happens again, Access Denied are on hand to help. You may be surprised at just how many people find themselves locked out in Bishops Stortford, as it’s extremely easy to do and it happens a lot. In fact, most people will find themselves locked out in Bishops Stortford at one point or another. However, it’s how you deal with this that really determines whether or not being locked out is a big problem. If you seek the help of Access Denied, it isn’t a problem at all. In short, the entire problem can be fixed in no time. At Access Denied, we understand the annoyance of being locked out in Bishops Stortford. Whether you’re locked out of your home or car, it can cause problems. For example, being locked out of your car means you’re unable to drive to work or to collect the kids from school. Similarly, being locked out of your home means your entire day has to be paused until you’re able to gain access and that puts a stop to any important plans. This is why every locksmith at Access Denied works hard to act quickly and effectively. We understand that being locked out is the last thing anyone wants and a lot of people don’t have a spare key, which means that gaining access is impossible. Well, it’s impossible until Access Denied show up. Made up of skilled locksmiths in Bishops Stortford, Access Denied are able to assist with a wide range of problems. From helping you to gain access to your car to issuing a replacement key incase it happens again, you can count on us for all your locksmith needs. At Access Denied, we’re confident in our ability to provide an unmatched service. From the speed in which we solve problems to the high quality of service we provide, Access Denied are able to offer a locksmith service that goes above and beyond your expectations. If you need a lock replacement in Bishops Stortford, you have come to the right place. At Access Denied, we have a great deal of knowledge and experience in providing lock replacement to all of our customers. So, if you run into a bit of bother, you know you can count on us to help you out. There are a number of reasons as to why you may need a lock replacement in Bishops Stortford; perhaps you’ve recently lost a key and want a new lock for security reasons or maybe you simply want to update your locks to something a little bit more secure. Whatever the reason, we can help. At Access Denied, we are skilled in all different types of lock replacements. This means we’re able to offer an excellent service, regardless of what you need doing. Our lock replacement services extend far and wide, thanks to many of our professional locksmiths. Rather than simply offering lock replacements for properties or lock replacements for vehicles, we do both. This means you can rely on us for any lock replacement need, there’s no need to go elsewhere. Finding yourself in need of a lock replacement in Bishops Stortford can be stressful. After all, the chances are the problem isn’t one you can solve yourself. However, with Access Denied available at any time, there’s no need to worry. Wherever you are and whatever the problem, we can be there in record time to provide a lock replacement service. At Access Denied, we focus on providing a professional service at speed. This doesn’t mean we compromise on quality or on the service itself, it simply means we’re able to provide a fantastic service efficiently. Therefore, not only are you guaranteed a professional service, but you can also relax knowing you’re locks will be replaced in no time. If you have a question about lock replacement in Bishops Stortford or you want to know more about how the lock replacement process works, contact us. By getting in touch with a member of the Access Denied team, all of your questions can be answered by those in the know. Have you ever wondered what would happen if your key snapped? Though it isn’t a problem that many people will have to face, it isn’t an uncommon problem either. This means that, at one point or another, you may find yourself with a snapped key and no way to gain access to your vehicle or property. Luckily for you, a key snapped in Bishops Stortford doesn’t need to be a huge problem. In fact, with our wealth of experience at Access Denied, it can be rectified in no time. At Access Denied, we’re able to help with a range of different locksmith services. From lock replacements to helping you when you’re locked out of home, we’re able to step in at a moment’s notice. Plus, we’re also able to offer assistance if you find your key snapped in Bishops Stortford. A snapped key can cause problems, regardless of the circumstances. For example, a snapped car key means there’s no way of driving to work or to meet friends. Likewise, a snapped house key means there’s no way for you to get in after a long day of work or after a busy day out with the family. 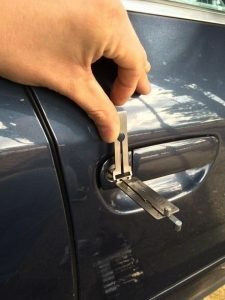 If you have a spare key to hand, you’ll be able to use that. However, most people don’t and this is why they rely on our expert services. If you ever find yourself with a key snapped in Bishops Stortford and you’re not sure what to do, call us. The team at Access Denied can issue a replacement key in record time. When it comes to sorting out a snapped key, come to Access Denied. As experts in the locksmith field, we’re able to offer a range of services that will help with whatever problem you have. Whether it’s a key snapped in Bishops Stortford or you have another need for a locksmith, we’re always available to offer assistance. For more information on finding a locksmith in Bishops Stortford, get in touch. Call us today on 07534 277020 for a no obligation quote or for more information on any of our services. Alternatively, get in touch online. This is not a problem and is the most common reason we get calls. 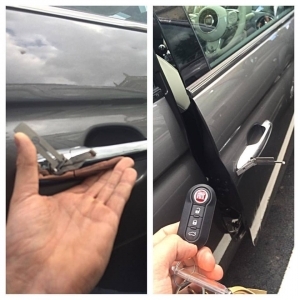 Our non destructive methods of entry mean we can open your car in no time at all. Call us now for a call out in as little as 30 minutes by one of our Bishops Stortford Locksmiths. 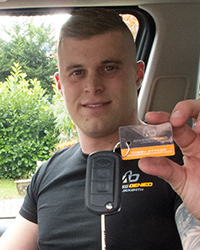 Access Denied Bishops Stortford Auto Locksmiths can provide new keys for your car created to the highest of standards again within as little as 30 minutes. 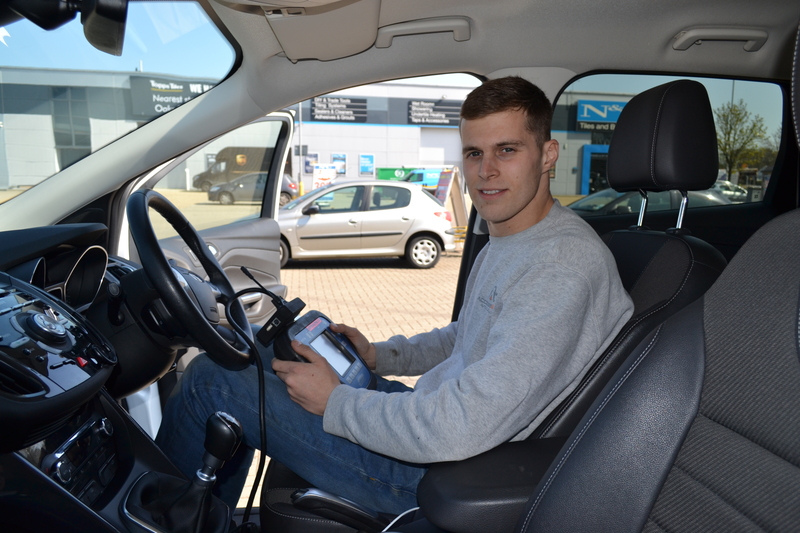 Our fully trained team are 24 hour emergency auto locksmiths so you can get to us when you need to, our Auto Locksmiths will always be prompt and professional regardless of the time of day that you call on them. Access Denied have trained staff working all over Bishops Stortford meaning a member of the team of Auto Locksmiths is always within 30 minutes of reaching someone when they call, we will never make you wait longer than necessary to help you out. Our team are located all over Hertfordshire and we have locksmiths in Bishops Stortford who will be able to get to you fast. The team of local locksmiths in Bishops Stortford will make sure there is minimal delay in helping you out.